Corruption at work – the exception that proves the rule? 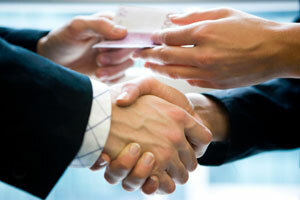 Recent media coverage has highlighted that corruption in groups of people is an on-going phenomenon. The reporters at The News of the World were put under extreme pressure to bring in sensational stories to boost sales, and a culture had developed in which they resorted to acts that most people would regard as unacceptable. Not only that, the culture permeated throughout the entire organisation, allegedly from the chief executive and the editor-in-chief down. Many of us know of someone who has cut corners or broken rules to meet business targets, be they time, budgetary or quality control. Pressure does not inevitably lead to a corrupt culture, but if other conditions are right (or rather, wrong), it can be a critical first step along the way. Once such behaviour has taken hold, it is difficult to root out, and is very likely to have disruptive consequences to a business and may affect its brand values. But, is such culture exceptional? Previous research suggests that corruption in the workplace can occur when employees are put under pressure to meet difficult targets. And my research has shown that given specific conditions, pockets of corruption that contravene company norms and codes of ethics, can happen in any organisation and so is an ever-present and real business risk. Corruption, group behaviour, leadership and stress have all been studied in their own right, but my research brings these concepts together and focuses on small groups within organisations and the relationship between their corrupt behaviour and stress. Social Identity Theory (SIT) with its focus on both inter-group and intra-group behaviour provided a framework for the work. SIT suggests that to support their group at such times, individuals who identify strongly with it (high identifiers) may be prepared to modify their behaviour. Although, people may find behaving in ways contrary to their normal inclinations stressful, SIT also suggests that high identification with a group can lower stress levels. What was not known was whether these previous findings would apply in the case of corruption, and whether stress is a factor in these acts. A series of experimental studies was conducted in which the participants had the opportunity to behave corruptly. The results demonstrate that in all cases, this opportunity was taken, whether the participants were students or senior business executives. High identifiers behaved more corruptly than low identifiers and they experienced less stress. SIT also suggests that effective leaders identify highly with their groups, are considered prototypical members, and so influence their groups’ behaviour. An important finding from this new research was that a leader’s influence extends to corrupt behaviour, implying that where a group operates with norms that are unique to it, the leader must be a fully accepted member of the group. Thus, leadership is contextual and corrupt group behaviour depends on a corrupt leader. However, it may also be the case that the formal leader of a group is not, in actual practice, the leader in specific situations. The findings of my research showed that appointed leaders did not always influence the behaviour of the team members: in such cases, the participants were talked into corrupt or unethical behaviour by another member of each group. Such leaders not only behaved more corruptly than non-leaders, but they also both influenced and encouraged such behaviour in their team members. Non-leaders followed leaders in corrupt behaviour, even against their personal inclinations. Although in general women were found to behave less corruptly than men, the behaviour of women leaders was not significantly different from other participants under normal conditions. However, under pressure for their teams to do well, they cheated more, particularly where the issues involved were ‘soft’ unethical ones, rather than where the answers were clear cut: to cheat or not to cheat. Qualitative analysis showed that corruption in groups is accompanied by rationalisation, but that there is no gender difference in its use. Group members accepted explanations suggested by their leaders, in order to justify their choices and decisions. Therefore, although the initial trigger for corrupt behaviour may be pressure, when group identification is strong in a team, and conditions present the opportunity, corrupt behaviour may occur even without pressure. My research shows that it may even be fun! So, although The News of the World is in the media spotlight at the moment, as an example of corrupt behaviour in groups of employees, this will not be the last: we only need to think of Enron, WorldCom, Siemens, our own MPs’ excessive expense claims, to mention a few, to remember that such behaviour is not exceptional. This entry was posted in business, research on 30th Sep, 2011 by Site Admin.